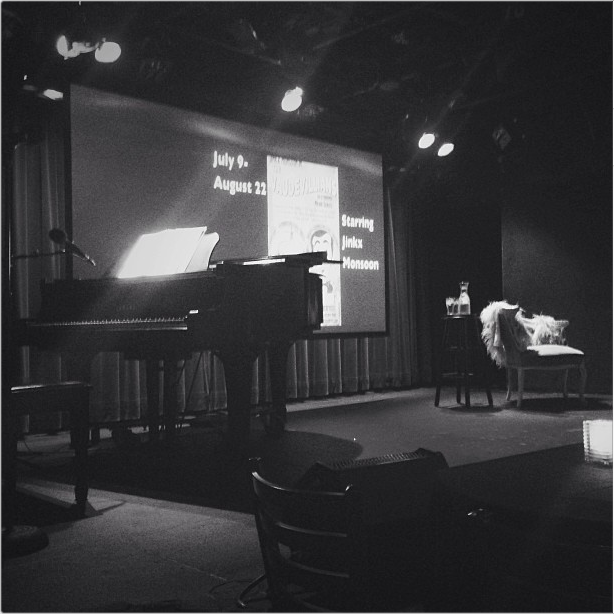 Last month my boyfriend took me to a show at The Laurie Beechman Theatre at the West Bank Cafe. 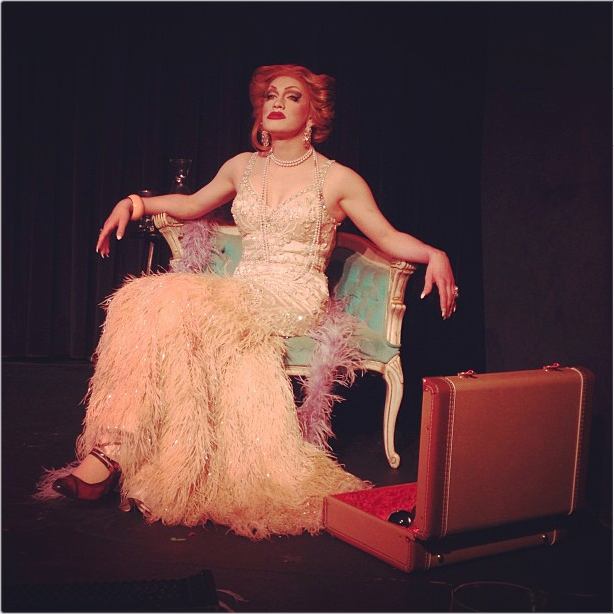 All I knew about it was that it featured a drag queen named Jinkx Monsoon, one of his favorites. I, however, had not had much experience with drag queens aside from a traumatizing experience at a Dolly Parton concert when I was an in-the-closet preteen. Naturally, I was a little nervous. That didn’t last long. Seconds into the show, Ms. Kitty Witless (Monsoon) and Mr. Dan Von Dandy (Major Scales) made their way into my heart and charmed the audience. If you’re not familiar with the show, The Vaudevillians, is about a vaudeville act that was buried alive in Antarctica in the 1920s by an avalanche. Fortunately for us, global warming has thawed them out for our own entertainment. Unfortunately for them, their music has been stolen by multiple artists, taken out of their original context, and have been made extremely popular. Okay, so it sounds a little strange. But trust me, it was one of the most enjoyable shows I’ve been to in a long time. Here’s why: It’s a great mix of familiarity (using songs we all know and love) and interaction (the entire show is less of a performance and more of a party where two of your more outgoing friends play the piano and sing and dance). I was upset to learn that there were only a few dates left – most of which were sold out – but I just noticed that quite a few more dates were announced so I thought I’d share my experience and invite you to purchase tickets for yourself. Just be aware that there is a $15 food/drink minimum per person for the show. If you’d prefer not to eat during the show you can do what my boyfriend and I did and buy a soda and glass of wine each. So, are you going to go? Buy your ticket here.